Helter Skelter | Sugar, Spice, and Everything Nice? Would you like to tell our readers more about yourself? I’ve done English Literature Honours from Lady Shri Ram College for Women, New Delhi, and a Master’s in Mass Communication from Jamia Millia Islamia, where I stood first in the university and my thesis film won a National Award for the best documentary for women’s issues. It was then [that] I realised that I wanted to get into directing films and headed to Mumbai where I worked as an Assistant Director on Subhash Ghai’s Yaadein and Rohan Sippy’s Kuch Na Kaho. A few films later, [after] a stint with an ad film company and making documentaries, I decided to start my own production house. I have a penchant for writing, reading, and travelling. I live in Mumbai with my husband and daughter. Losing My Virginity and Other Dumb Ideas is my first novel. I am working on my second book and a screenplay for a film. The search for love seems to be an eternal quest by all. Whether one loses their virginity early or late, everyone wants a special someone in their life. After many discussions with my friends about this topic, I had a vision of a woman in search for her True Love who was still a virgin. I wrote my first chapter on a notebook and read it to a friend of mine who bears resemblance to Kaveri. She said she wanted to hear more. I continued until I could read out my last chapter to her. “There comes a time in one’s life when you really wonder what you were thinking because when you look back in life you realize that you obviously weren’t thinking straight”—this excerpt from your book talks about bad decisions. Are there any decisions that you regret making? Love does not make people think straight. However, a decision to be in a relationship or out of it always makes you learn from it. I do not regret any decision in my life. I have learnt from all my mistakes! What do you think losing one’s virginity means to youngsters today in India? I think it’s overrated by an older generation who want to inflict their values on the younger one. Adolescents today are aware of the meaning of virginity as well as the consequences that come with losing it. They are a far more informed and perceptive lot than people were even a decade ago. They know about the diseases that go hand in hand and understand far more than we ever did. So it’s no big deal for the youngsters today but they won’t do it so easily either. Love. Always. Lust dies. Love remains. Do you really think that girls who sign up for reality T.V. shows end up meeting their soul mates? Not in the first meeting. Nevertheless, I believe that new platforms are being explored to find your soul mate like social media platforms of Facebook and Twitter and even through internet chats. So maybe a reality show is not such a far-fetched idea. Who do you think is the ideal Indian woman? The ideal Indian woman is a strong, confident woman who knows what she wants and how to get it. There is no one person who defines it all. There are so many women in villages, towns, and cities that are the Ideal Indian Woman. 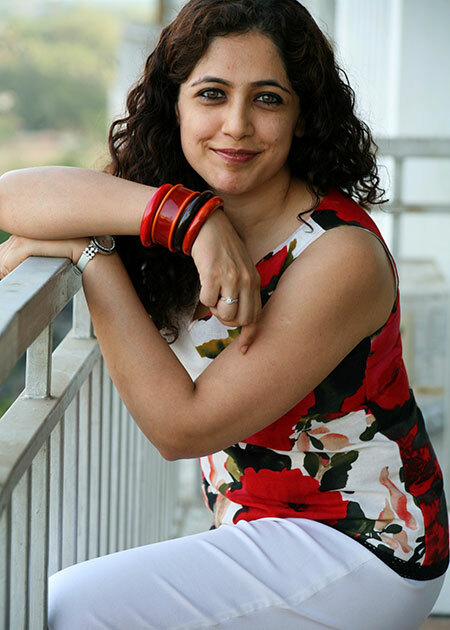 In the book, the character Aditi talks about how there is no perfect husband, no perfect marriage, and no perfect wife, and the only thing she can do is keep her parents happy even if she is not. According to you, should a woman stay in a loveless marriage just to keep the society at large happy? Most of the time if women are not financially independent and they do not have the support of their family; they stay in a loveless marriage. However, divorce rates have increased and both parties are aware of their rights nowadays. I think one needs to realise the consequences of staying alone before one walks out of a marriage, but definitely do so if you’ve been unhappy for too long. You only have one life to live. Do you think a woman is appreciated enough in today’s Indian society, whose attitude tends to turn hypocritical when it comes to a woman’s actions? Indian society is extremely hypocritical about many things, most of all women. Women have never been appreciated enough as home makers or in the office scenario. If a woman is career driven and rises to the top, there is slander behind her growth, and if she chooses to stay at home and look after children, she is judged as non-ambitious. It’s high time men grow up and realise that women are far superior and that they need to keep up. Is there any message you would like to pass on to women all over who are still searching for their true calling? One’s true calling can vary. Just as you change as a person, your heart, your desires, and your career can change. Never limit yourself to something because you are comfortable with the idea. Let the unsettledness of your heart lead you in a direction that you need to grow. Jiya is unassuming, subtle, and only looks naïve. She's a die hard romantic who enjoys gripping murder mysteries. Once you get her talking, it's really hard to get her to stop. She's a little mad, fiercely loyal, and often tends to break out into song and dance, wherever she might be. Interesting!!!! Some of these ‘Superior’ women are on display at the state level.